Sometimes it gets confusing for people who are new to java as to what is an Object and what is a Reference. Knowing the difference between them is critical in understanding a lot of key concepts of java. Here p is a reference variable which points to an object of class Person. The actual object of class Person created in that statement resides on the heap. 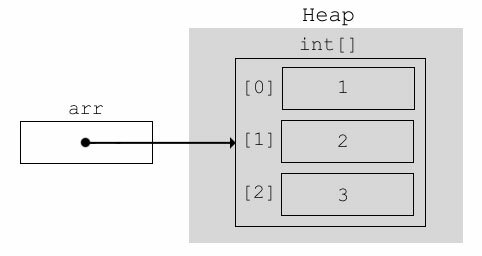 The reference variable p only contains the memory address of Person class object on the heap. So the actual value of p can be said to be an address on the heap. 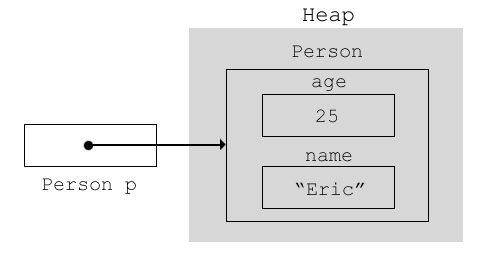 Here the reference variable p points to an object of type Person. 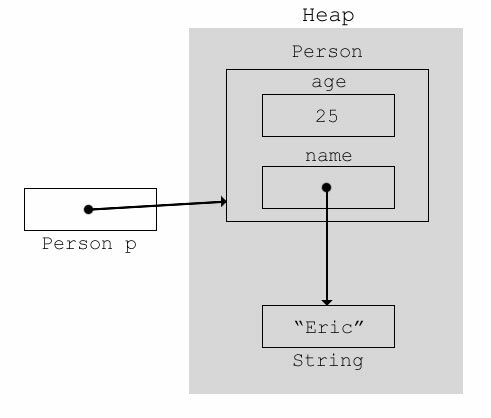 The name reference variable in Person object points to String object on the heap. I can’t change the value of p itself as its final so I get a compile time error if I try to do so. 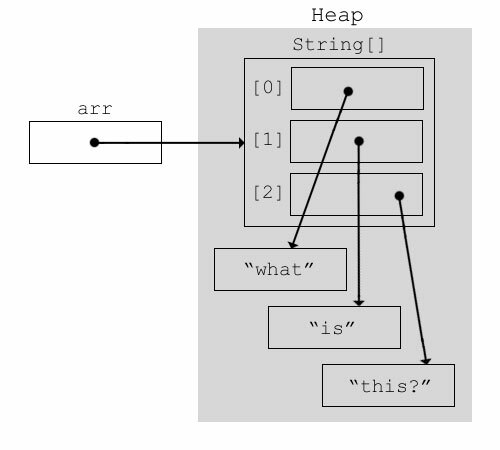 So basically arr points to an array which has 3 references of type String each pointing to a String in the heap.